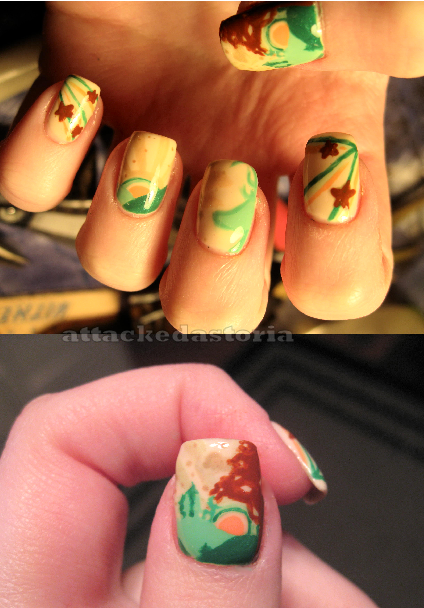 Attackedastoria Nails: Mani fail day.. I just have not been happy with my nails lately! I keep redoing them, or screwing them up.. gah! I usually get like this when I'm hormonal, but it's so annoying. Anyway, here's some random stuff I've done, just because I figured I need to post SOMETHING. First, sorry my nails look kinda bad lately.. even with cuticle oil I'm getting dry skin and hangnails like crazy. Blech! 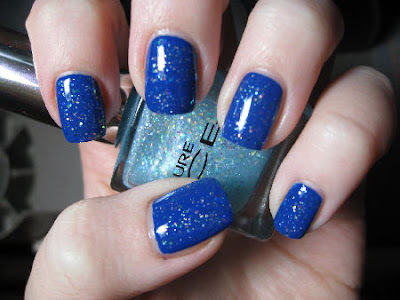 Anyway, this is two coats of Pure Ice French Kiss, with one coat of Pure Ice Once Again. I love French Kiss! It's probably my favorite blue that I own. So creamy and deep, but bright. Pretty easy, smooth application; first coat is streaky, but the second smooths it right out and makes it opaque. 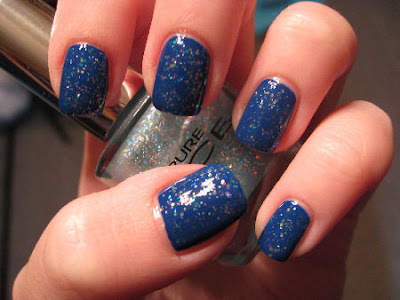 Once Again is a lovely mix of pink/blue/holo glitter in a sheer pale blue base. I wish the base was a little less sheer and more jelly, because I think it'd look gorgeous on it's own! It's great for layering, though. One of my favorite albums is Almost Here by The Academy Is..., and I've always wanted to do nails based on the album cover. I gave it a shot, but as you can see, it def didn't turn out that great. I got way too frustrated because it wasn't working like I pictured it. I'll undoubtedly give it another shot some day when I feel like I can do it without screaming and stabbing something.. here's the cover for reference. All I got for now.. I think I need a break before I go crazy and chop my nails down to the bone or something. 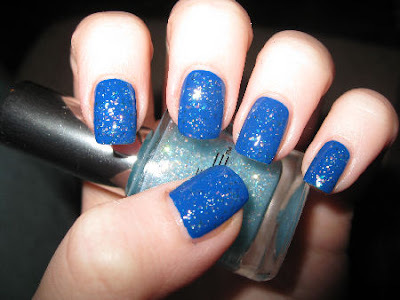 I really like the Almost Here mani!! 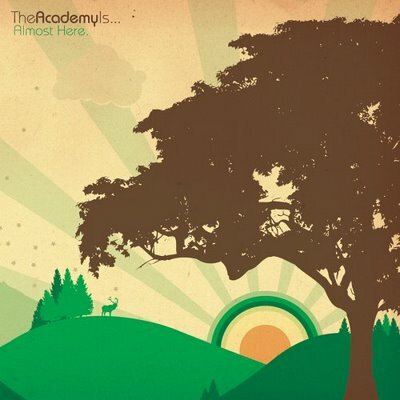 I love The Academy Is...! Great job! French Kiss is my favorite too!